Why Not Make It And Save Money? For the customers who need a relatively large amount of the asphalt, then an asphalt recycler like the RENOVA is recommended. This asphalt recycler is available to complete any large scale road patching jobs or small pavement fixes. 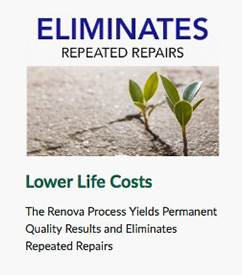 There is also a wide variety of asphalt products such as asphalt dealers, asphalt sealers, and other asphalt products that are available in the market at the moment but the RENOVA is the absolute best option in terms of cost and efficiency. The availability of the asphalt products is mainly dependent on the on the quantity of the asphalt product a customer needs. For small business owners or homeowners who need a relatively small quantity of the asphalt then one should seek to buy the cold crack filler. When working with parking lots and laneways, the best choice of the asphalt material to use is the Recycled Asphalt Material, commonly known as RAP. The recycled asphalt material is made by crushing asphalt material from sizes as large as 19 mm to fine material. These fine material on the area of application and compacts very well which make it a more durable surface. The recycled asphalt material is very familiar to the asphalt itself as it is very clean with a quality look as high as that of the asphalt. 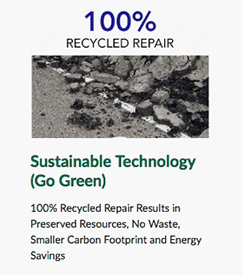 Since it is recycled, it is relatively cheaper than the typical asphalt, and therefore the products built using the recycled asphalt is relatively more economical and cost effective when compared to products made from the no recycled asphalt. In the recent past, there has been an increase in the prices of asphalt, and there have been increased concerns about the effects of the asphalt material on the environment. 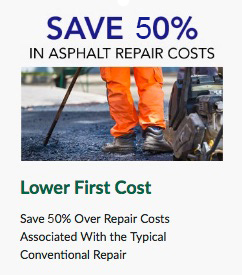 For this reason, Asphalt Recycling and Reclaiming Association took it upon itself to bring awareness to the public agencies as well as asphalt contractors on the benefits of using recycled asphalt products as well as rebuilding existing asphalt pavements. Legislators, taxpayers and also environments supported the efforts made by the organization as it helped cut down the expenses on the asphalt and also saved the environment by reducing the amount of waste asphalt from landfills where it would be dumped. The organization also conducts countrywide conferences, seminars and training sessions to provide information and support to the clients who are mainly contactors involved in construction and maintenance of highways, roads, and pavements. Part of the information they offer is on the technological aspects of the asphalt recycling which is relayed by asphalt experts who work on building new techniques for reclaiming and recycling asphalt. Many efforts have been put in place to increase the durability of the existing asphalt by doing pavement maintenance and repair by experts. The best dealers in recycled asphalt material are the Asphalt Kingdom, who specialize in the asphalt material and the equipment used in making the asphalt stay in the best possible condition. The store sells most of their products to customers across the region as well as the Asphalt Recycling and Reclaiming Association. They also sell to the customers who use the asphalt material for the first time in their construction works.